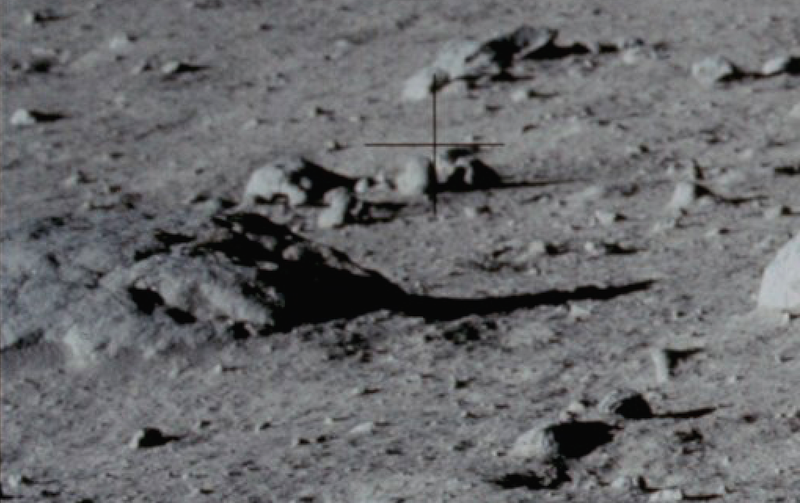 UFO SIGHTINGS DAILY: Flesh Colored Anomaly Appears From Nowhere On Moon Near Buzz Aldrin, Apollo 11 Photos, UFO Sighting News. 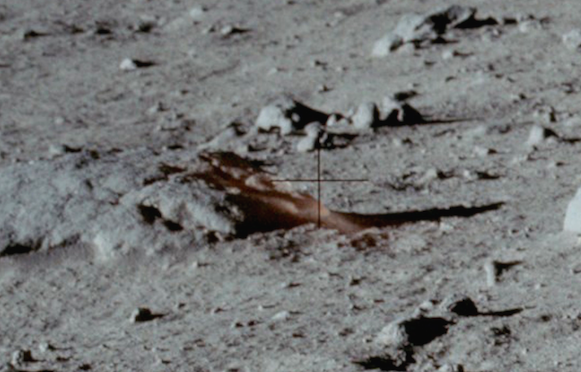 Flesh Colored Anomaly Appears From Nowhere On Moon Near Buzz Aldrin, Apollo 11 Photos, UFO Sighting News. 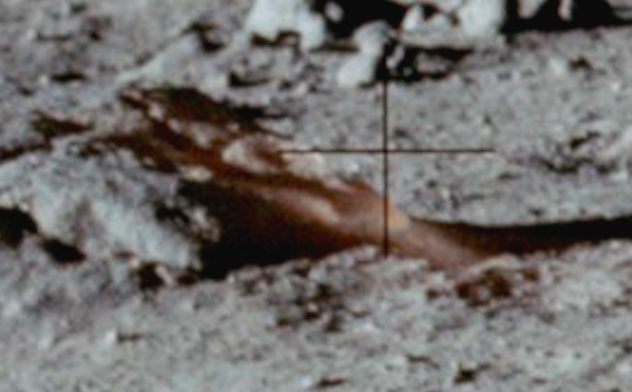 I found this really interesting flesh colored anomaly today in a photo on Earths moon. 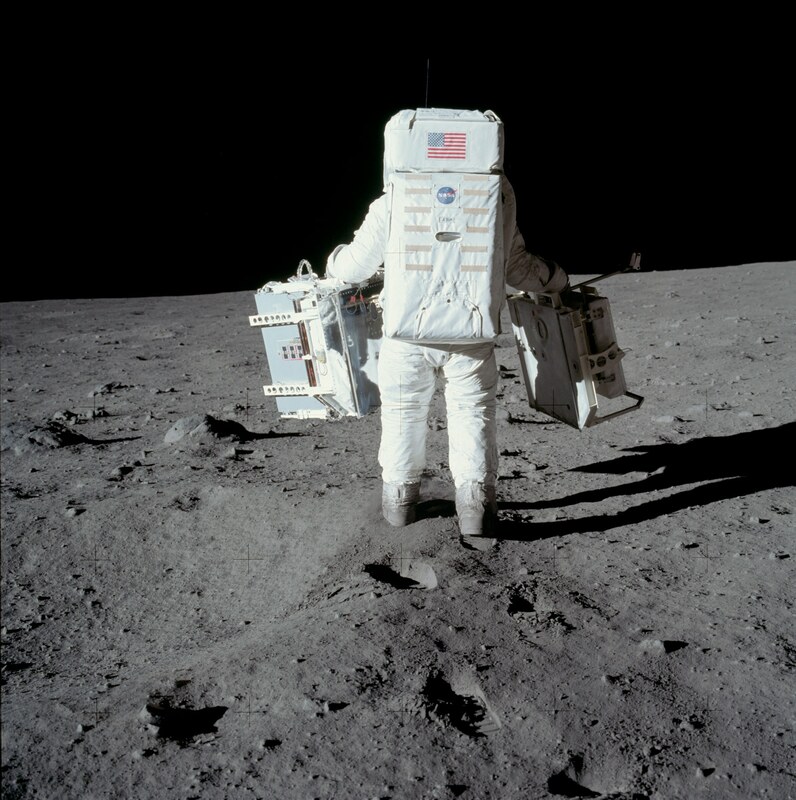 The photo was taken by Neil Armstrong of Buzz Aldrin walking with the . The photos above are from the Apollo 11 mission. The anomaly not only changes colors from grey to flesh color, but it also becomes swollen and enlarged by 25%. Very odd, and I just wanted to share this one with you guys. I have never seen anything like this on the moon before, so I am at a loss for words here. I do believe that Buzz noticed this object as he walked forward on the grey landscape. Its kinda hard to miss it. Also note, there are no footprints around it, which tells us it was not placed there by an astronaut. It looks like an alien statue fallen over. 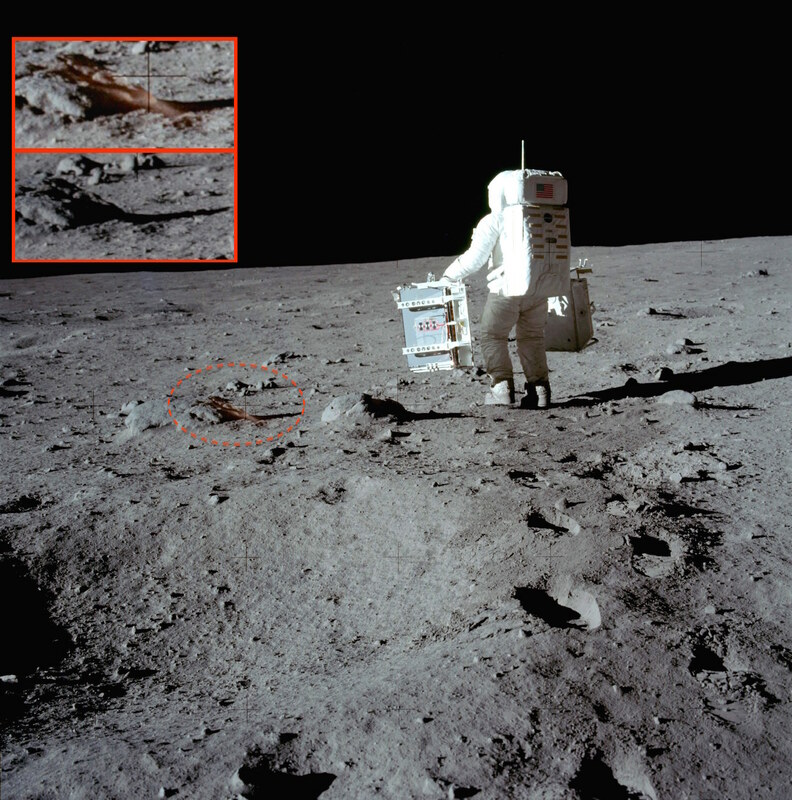 The Apollo Moon Missions had to observe, record and if possible retrieve alien technology. 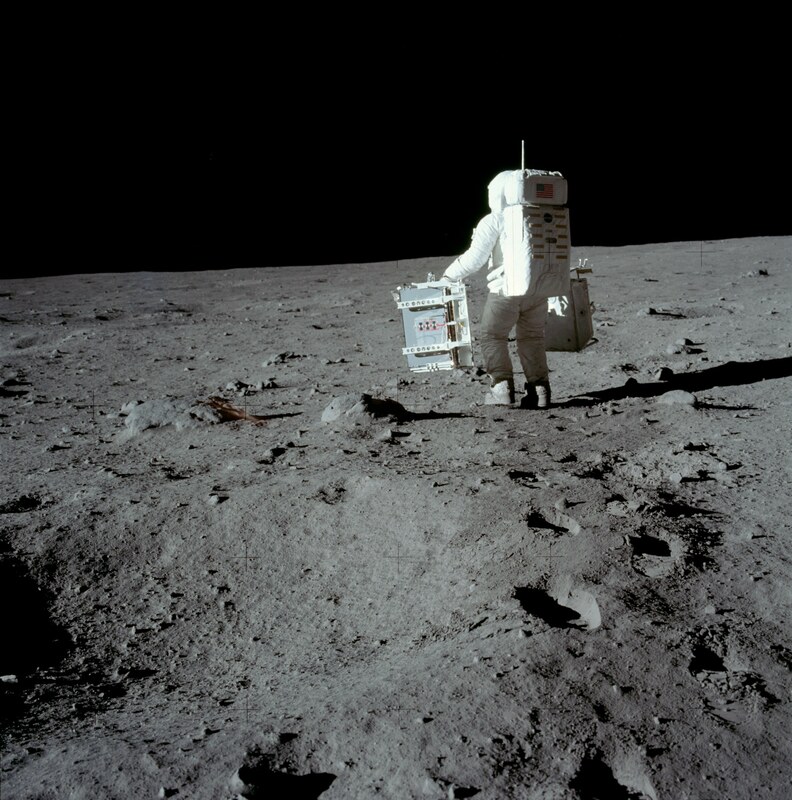 This photograph is the first in a sequence of pictures Neil took of Buzz carrying the EASEP out to the deployment site a short way south of the spacecraft. In this picture, he is walking across the raised rim of the small crater he comments on at 110:58:16. Note the spray of dust spreading out in front of his left boot. 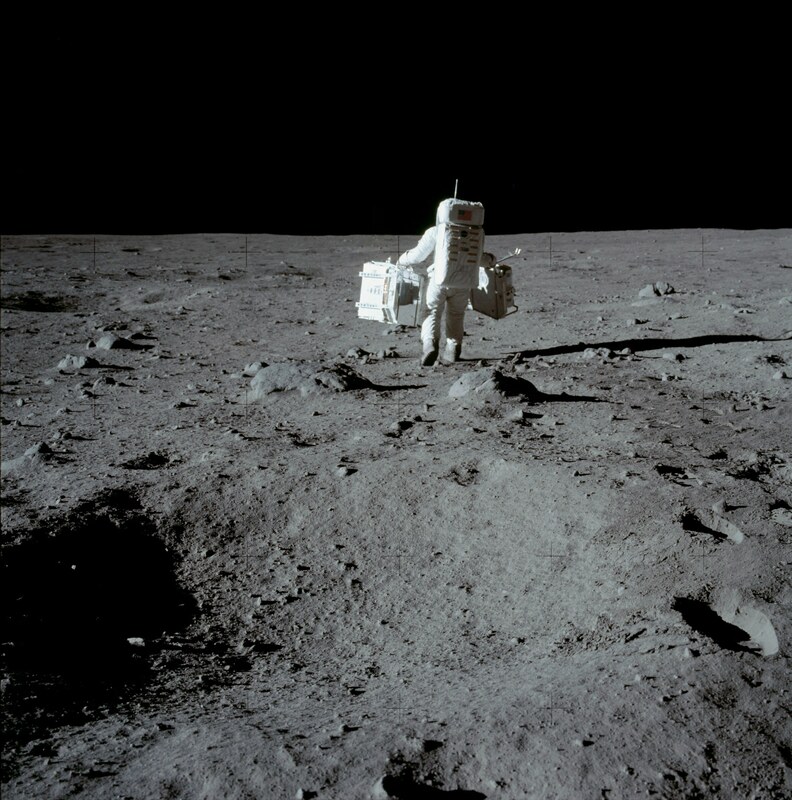 The piece of equipment in his right hand is the LRRR, while the seismometer package is in his left hand. Note that, in this view from behind Buzz, we are seeing his OPS antenna edge on. In lower-quality scans and prints, it all but disappears. A detail shows the two columns of horizontal Velcro strips on the back of his PLSS.